Marie Lynskey has been designing and painting beautiful documents and artwork since 1983. With over 30 years of experience your work will be expertly designed and executed to the highest standards. From simple calligraphic texts, such as poems or certificates, to fully decorated and illustrated illuminated addresses, civic award scrolls and elaborate hand written and painted family trees, each piece will be carefully designed and executed using traditional methods and fine quality materials. 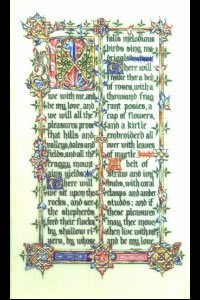 To find out more about all types of heraldic artwork, coats of arms, calligraphic certificates and decorative scrolls, illuminated poems, family trees and other hand written and painted documents in a wide variety of styles click on any of the links in the navigation bars above and below. 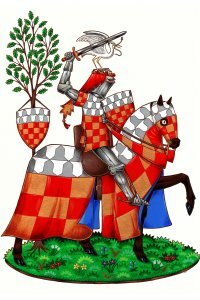 Move the mouse over the links for a selection of illustrations of the heraldic and calligraphic artwork produced.